The Mississippi Association of Nurse Practitioners is committed to protecting the role of the nurse practitioner to enable APRNs to work within the full scope of your practice, education and training. How can I help support the candidates that advocate for APRNs? Without a well-funded PAC, MANP will be at a distinct disadvantage in the legislative session while advocating for your needs. Please donate to the MANP PAC. MANP is able to provide a level of representation and political advocacy that focuses on the needs of the APRN. Its experienced team of leaders and lobbyists with expertise in grassroots organization, creation of digital communities, and public persuasion — brings an unparalleled level of professionalism and commitment to APRNs. Political advocacy is beyond lobbying. At its core, advocacy is “the exercise of power by those committed to a cause in the face of the government’s power.” Advocacy is a tool for real participation in decision-making by government and other powerful bodies. At the same time, advocacy must go beyond engaging “those committed to a cause" to engaging a larger audience — the patients of Mississippi. John Morgan Hughes, Lobbyist for MANP, has his boots on the ground advocating for APRNs. Over the past 7 years, John Morgan has served as a strategist and general consultant to over 70 political and public affairs campaigns. 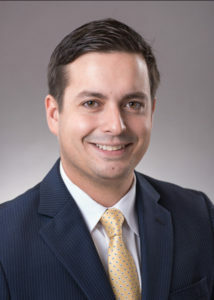 He has represented various clients including trade associations, municipalities, and private corporations in their advocacy and education efforts in the state of Mississippi. In addition to his experience in government, he has also been very involved in the start-up community, having led the creation and sale of 3 companies since 2005. MANP is proud to support many candidates as well as current seat holders in both the House and the Senate. Just to name a couple, in November 2017, MANP actively supported candidate and winner, Kevin Ford, in the House District 54 (Vicksburg) race against Dr. Randy Easterling. Kevin Ford supports the nursing community and understands their concerns. In 2016, another endorsed candidate supported by MANP, State Representative Donnie Scoggin, a family nurse practitioner at the Ellisville Medical Clinic was successful in his vie for the open seat in Jones County. In addition to the outstanding patient service he provides there, Rep. Scoggin represents the people of Jones County in District 89. In the House of Representatives, Donnie advocates for the nursing profession as a member of the Public Health and Human Services Committee (and others). MANP also is active in supporting other candidates that support the nursing profession. A PAC (Political Action Committee) is a committee organized for the purpose of raising and spending money to elect and defeat legislative candidates. Mississippi has no limits on the amount of money a PAC may contribute to a candidate. Without a well-funded PAC, MANP will be at a distinct disadvantage in the legislative session while advocating for your needs. Please donate now.